Was someone driving a vehicle in an intoxicated state? Did that person injure you? Were your or anyone else responsible for the incident? The first thing to understand in looking for a drunk driving claim is that civil actions are wholly separate and apart from criminal actions. The latter are brought by the state to punish defendants and deter similar behavior. 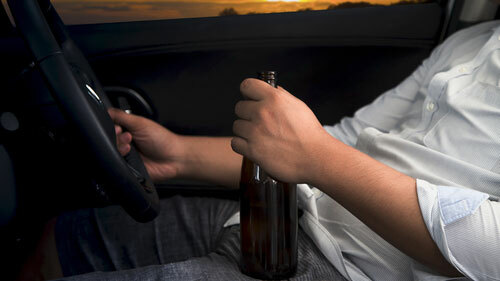 Drunk drivers are subject to criminal prosecution even if they do not harm anyone or cause any damage. However, you or a relative might also be able to bring a civil action if the drunk driver harmed or even killed you. What Form Of Cases Are Drunk Driving Lawsuits In Illinois? This type of lawsuit is normally either a lawsuit for negligence or wrongful death and attempts to recover for damages including medical costs, property damage, lost wages, and even non-economic losses in some circumstances (for more on damages in drunk driving lawsuits, see our article entitled: “ What type of damages can I recover from a drunk driving case in Illinois? ”) There are some broad elements of both negligence and wrongful death in the drunk driving context that we will review in the sections below. Did the defendant owe you a duty? Yes, all drivers owe other drivers and pedestrians the duty to handle their cars and maintain a sufficient lookout to avoid injuring others. Did the defendant breach that duty? Normally, in civil litigation, pointing to evidence of the accident itself should be evidence enough to demonstrate that a breach occurred. Did the defendant's breach cause your injuries? This is where it gets tricky. You must prove that defendant's conduct is the factual and legal reason why you were injured. In other words, no one else including yourself could have primarily contributed to your harms in order for you to be successful on this point. Did your injuries result in damages? You are not allowed to use the legal system unless your injuries manifested into recognizable economic or non-economic damages including among others medical costs, property damage, or pain and suffering. However, in drunk driving situations, plaintiffs are assisted in demonstrating that the conduct itself was unreasonable because it is also against the law to do so. Therefore, the law presumes that drunk drivers were negligent if the following elements are present. The law gives a criminal penalty. The conduct caused a harm that the law was meant to deter. The plaintiff was a member of the group the law tried to protect. Laws against drunk driving are meant to protect other drivers, passengers , and pedestrians . Therefore, if defendants drink and drive and then crash into and harm others, they were negligent per se because they broke the law and harmed people in the manner that the law meant to avoid. This is helpful because it saves you a lot of time at trial. Instead of arguing over whether the defendant's conduct was wrongful, you just have to show that it caused your injuries. The defendant owed a legal duty to the decedent. The defendant breached that legal duty. The plaintiff died and incurred monetary damages as a result of the defendant's breach. Most Common Defenses In Illinois Drunk Driving Cases? Inappropriate Stop: Defendants might argue that the police stop which led to the DUI was improper because the officer lacked probable cause or some other reason. Inaccurate Testing: Defendants often argue that either the field sobriety test or breathalyzer test was not accurately completed. With the breathalyzer test, they normally claim that the machine was malfunctioning, the officer did not know how to administer it, or there were outside factors that tampered with it. Mistake or Intervening Factors: Defendants point to police, administrative, or other errors to justify their release or exculpate them from civil punishment. Additionally, they commonly cite some intervening force or event to explain away the incident instead of their own drinking and driving. These might not be the only excuses that the defendant will throw at you in an Illinois DUI case but they are some of the most common ones. Wondering How To Sue The Drunk Driver Who Injured You? Rosenfeld Injury Lawyers LLC has represented many victims of drunk driving accidents. We know the best ways to go after the person or company that caused your injuries. Also, we can fight for your rights on contingency which means that you won't pay for our services or any expenses unless you get the recovery that you need. Want to get started today? Call Rosenfeld Injury Lawyers LLC and we can get the ball rolling as soon as possible.